Junior year's looking up for sixteen-year old Mike. 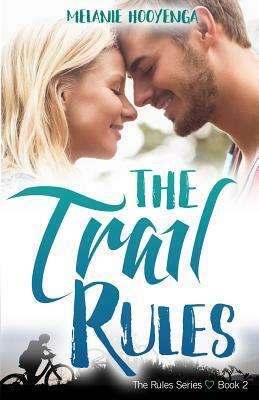 Her new BFF isn't a sadistic control freak, her boyfriend adores her, and she's learning to bike in the mountains without decapitating herself on a tree. When she meets a group of riders who welcome her into their pack, she feels like she's finally found where she belongs. One particular rider--a boy with an amazing smile and an even more amazing ability to see what she's truly capable of--gives her the confidence to go after what she wants: her own life with her own rules. There's only one problem--he's not her boyfriend. Just as things seem to be falling into place, her parents put on the pressure to figure out her future--one that doesn't include riding. Mike soon realizes that having everything isn't that great when she's not the one choosing it. She needs to decide if she's going to continue to be a follower or step out of the shadows and find her own trail.